Look alive Beloved B.A.F.F.L.E.D. Readers! 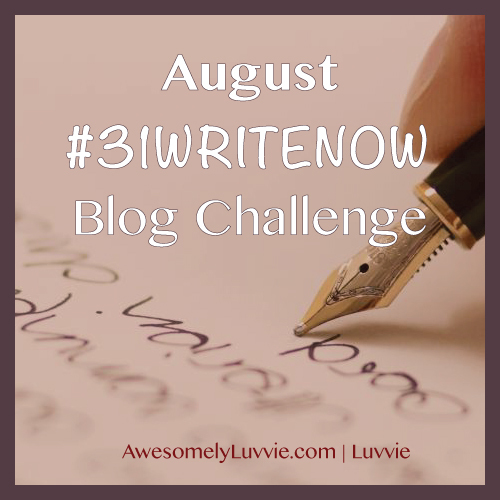 You'll be hearing from us a bit more during the month of August, as we partake in the #31WriteNow Challenge, sponsored by Awesomely Luvvie! This exciting challenge will push us to write something, big or small, everyday of August. We'll do our best to keep you updated on all the things you want to hear about--from current news, events, fashion, law, beauty, health, entertainment, and more. If there's something you'd like to see on B.A.F.F.L.E.D. in August, please let us know!